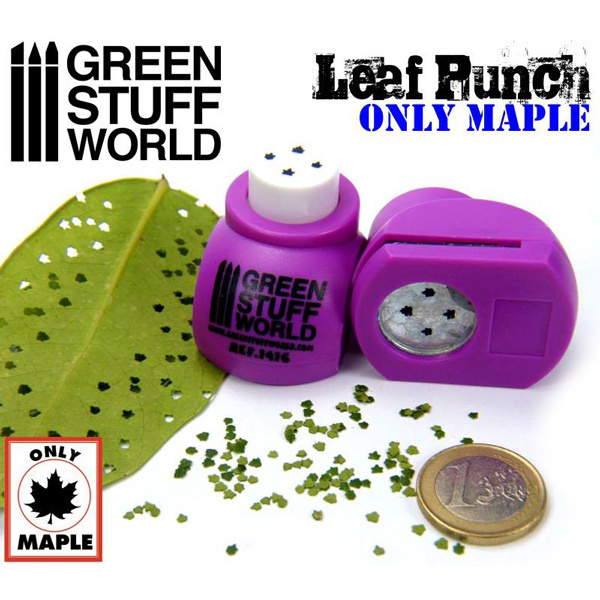 Miniature Leaf Punch perfect to create miniature leaves compatible with scales 1:48 1:65 1:80 (28mm, 25mm y 22mm). You can use various types of paper and other materials. 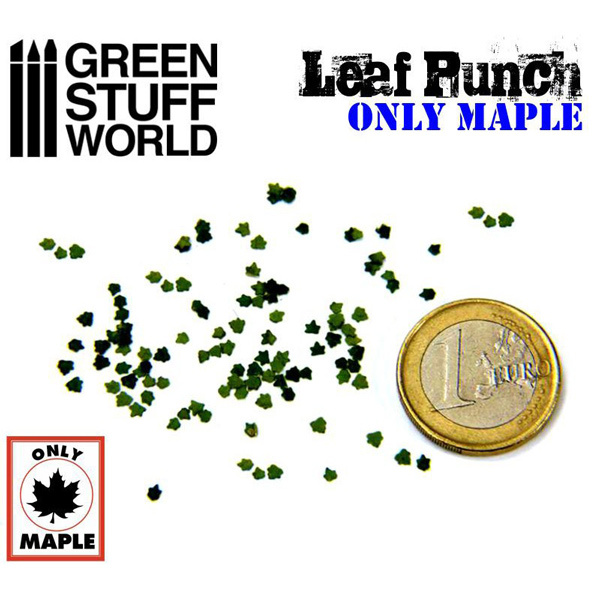 This punch will make 4 types of mini MAPLE leaves. 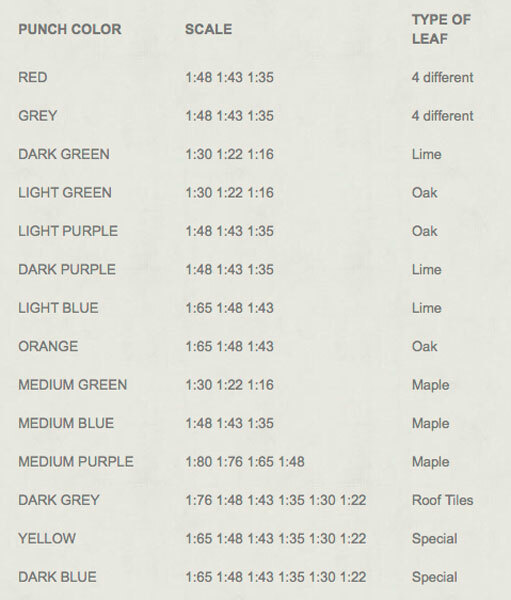 We recommend using dried leaves in different colors. Natural leaves need to be treated to keep the colors. There are many techniques to achieve this effortlessly. They may be also painted. 1. Search for fallen natural leaves in the park next to your house. 2. Let the leaves be dried, inside a book, to keep the colors. 3. Punch the natural leaves. 4. Use PVA glue to fix the leaves to your diorama. Blade can be sharpened by punching through aluminum foil or lubricated by punching through waxed paper.